We started out as greengrocers in 2007 and still pride ourselves on the quality and freshness of our fruit and vegetables, something which we hope is reflected in the vibrant display that welcomes you. Our award-winning shops stock quality, local produce wherever we can. 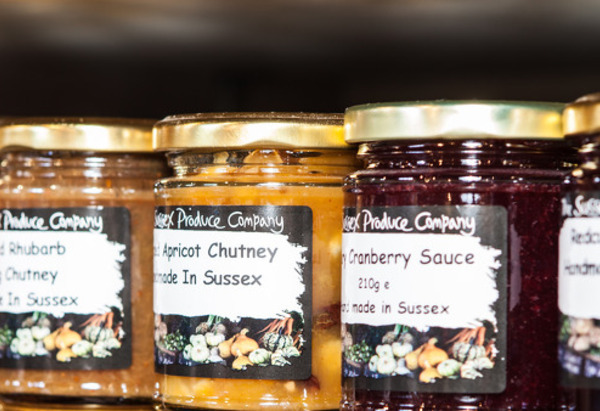 Over the years we have built strong, long-term relationships with many Sussex producers and are very proud to stock our shelves with their products. Discover more about what we sell below. 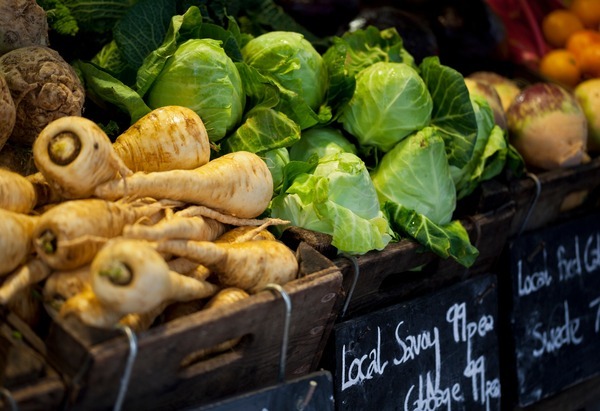 We work with a number of local growers who provide us with top quality produce. These include Daylands Farm in Ashurst and Roundstone Farm in Littlehampton who provide us with a range of vegetables throughout the year. Nutbourne Nursery grow the flavoursome tomatoes we sell and Graham Love in Herstmonceux supplies us with delicious top fruit. From sausages to whole chickens, salamis to beef mince, we sell a range of locally sourced meat. Our suppliers include the Brighton Sausage Co. and Michael Courtney Family Butchers in Midhurst, West Sussex. Our fresh fish is sourced from ‘Fish’ - Brighton & Newhaven Fish Sales. We stock their fleet-caught fish as well as products from warmer climes. We also sell a selection of smoked and cured fish from Springs' Smokery in Edburton. Our milk and cream comes from Southview Farm Dairy in Bury near Pulborough. We sell organic milk and cream from the Goodwood Estate and biodynamic yoghurt from Plaw Hatch, Forest Row. 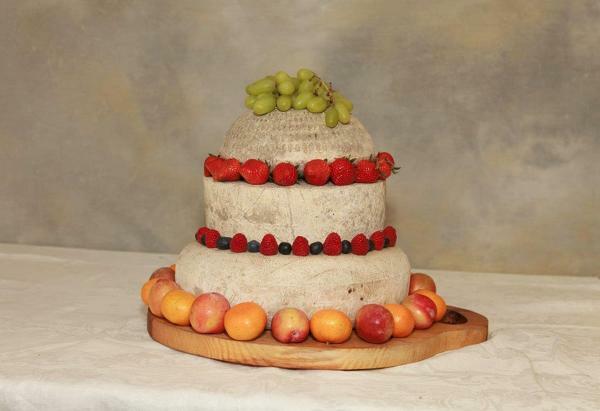 We have a wide selection of award-winning cheeses including a range from the High Weald Dairy in Horsted Keynes. We also sell the acclaimed Sussex Charmer and a Vegetarian ‘Parmesan’ cheese from Bookham & Harrison in Rudgwick. We stock free range, organic eggs from Rookery Farm, Flansham. Not only do we sell Harveys’ beer on draught to take home, we also range a vast selection of local Sussex beers. So if you’re a Real Ale enthusiast, our shops are the place to come. Our wine offer is just as extensive. Nestled amongst our range of red, white, rosé and sparkling, you’ll find local, award-winning Wiston, Nyetimber, Bolney Estate and Stopham wines. 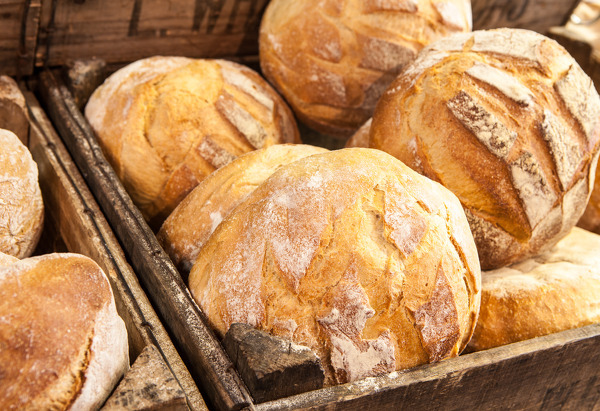 We have a daily delivery of handmade, artisan bread from the Real Patisserie in Brighton. We sell a variety of fresh loaves as well as their pain au chocolat and all-butter croissants. Our cakes are made by A Taste Of Dreams in Glynde, East Sussex. These include a number of gluten and dairy free options. Sourced from Brighton’s workers’ co-operative, ‘Infinity Foods’, we stock rice, pasta, pulses, tinned goods, cereals, vinegars and oils. Our selection of mayonnaises come from Sussex Valley and our own labelled jams and marmalades are amongst our most popular products.